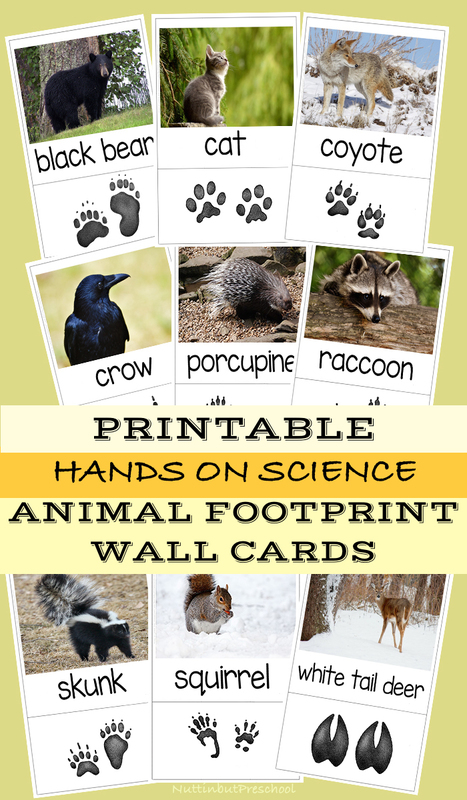 The cards can be printed on computer paper, cardstock or photography paper. 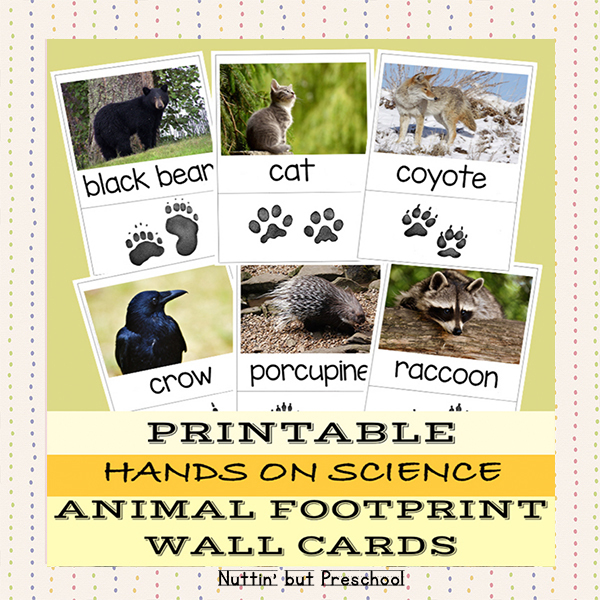 All 9 of the animal footprint wall cards will print at full size on an 8.5 x 11 sheet of photo paper to make a beautiful science center wall card. Photography paper printing is the prefered method.